Have you been looking for a classic pre owned Intermeccanica 1959 “D” Roadster at a great price? Here you have a great option. This well loved and enthusiastically enjoyed Intermeccanica has been in there same family for the last 15+ years and has provided many kilometres of great fun. 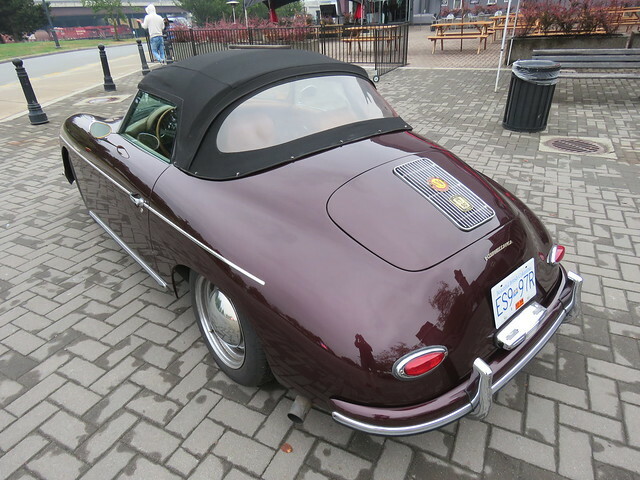 Original paint and leather with no accident history, started its life in central Canada but has been back to the coast with the current owner of the last decade and a half. Powered by a custom “ultra HP” engine built by local Vancouver area VW engineer builder with unique dry sump lubrication, custom exhaust and oil cooler. This Roadster is at the top of the air cooled performance bracket and is running strong. Interior and top like the paint have a vintage looking patina, still good looking but not new. Road wheels & tires show the greatest ware with chrome rusting and a bit rough, some exterior trim could use replacement but is perfectly functional. Custom features include large capacity front trunk, Espar gas heater and removable original style luggage rack. Finished in original BMW Brokat Red with Doeskin leather interior, Tan Square Weave carpets and Black top this Intermeccanica is just as it should be!. This combination is the quintessential Roadster with everything you need for fun and nothing more! Performance suspension and four wheel disc brakes making for great road manners. This Intermeccanica will thrill you just as much on the open road as it will on the drive to work. Ready for you to enjoy the balance of this driving season and for years beyond!